You’re here looking for games like Clash of Clans because developer Supercell’s offering has you hooked, right? 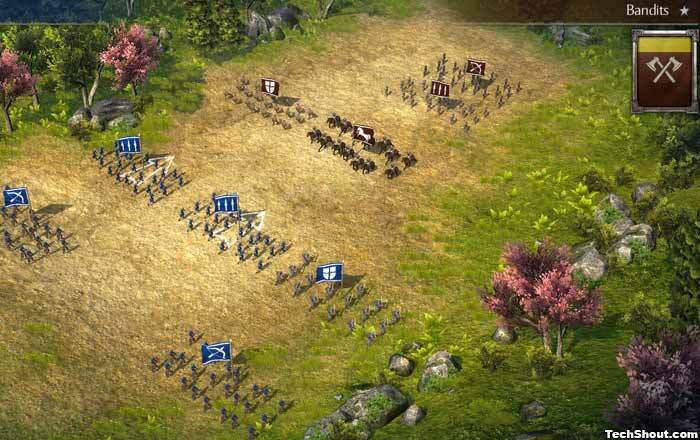 It is one of the most popular strategy games for people who like gameplay which tests their decision-making skills and situational awareness. Supercell released it for iOS in 2012, and it came to Android in 2013. Those of you who’ve been fans since day one may want to play some other alternatives if you haven’t already. Find out how well you perform in other games that are similar to Clash of Clans. Are your defensive moves as smooth in different settings? Can you still launch a powerful offensive? What about your resource-building skills? If you’re a diehard fan of Call of Duty the way it is, you’re skimming the wrong list. Check out our recommendations for the best offline shooting games for Android instead. As you will find in Clash of Clans, there’s no cross-hair involved in COD: Heroes. You won’t be looking at your enemies from the right side of a firearm. You will be using the skills you’ve perfected in Clash of Clans to build impenetrable bases strategically. You will also be required to launch drone attacks, forge alliances and raise a band of elite soldiers under your command. As the game’s name suggests, you will be able to control a range of heroes from the franchise such as Harper, Price, and Soap, level them up and unlock some exciting abilities. Is it exactly like Clash of Clans? Well, it could be if you completely ignored its COD theme. It includes PvP, Challenge, Campaign and Survival modes. 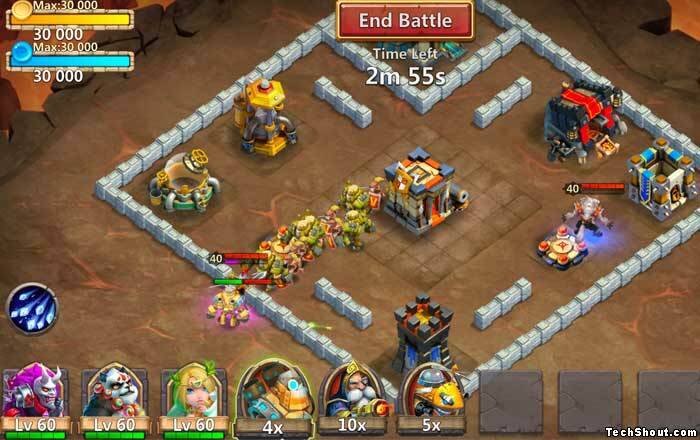 If you’re merely looking for a Clash of Clans clone as opposed to an entirely new experience in mobile strategy games, Castle Clash: Brave Squads by IGG is a top contender in this lineup. In it, you’re charged with fortifying your village and defending it against oncoming enemies. The aesthetics of the two titles are very similar. But Castle Clash offers more challenging gameplay as compared to Clash of Clans. The former involves more playing time and interesting mini-games on the side, while the latter will mostly have you playing in short bursts of a few minutes at a time. 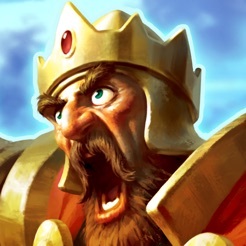 In Castle Clash, you can hire, train and upgrade Heroes who will lead your armies into battle. The game features PvP as well as co-operative modes. It also has mythical creatures like dragons that you can use to keep your people safe. It was recently updated with a Hero named Professor Ribbit, a new Pet Glacie, fresh Hero Skins, Friendly Wheel and bug fixes. 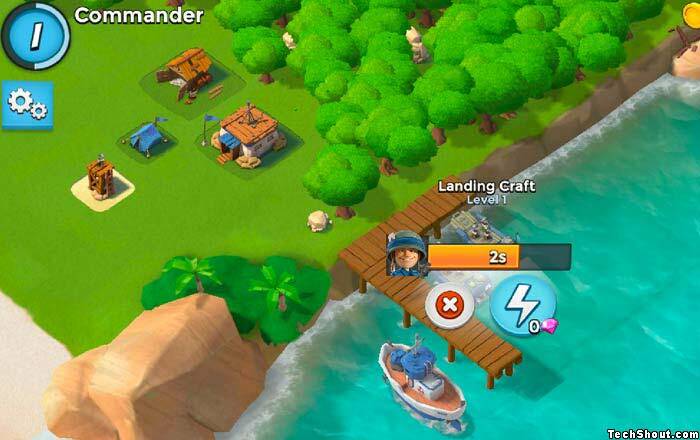 Boom Beach makes it to our roster for an excellent reason. It’s a great alternative by Supercell itself for those who are not into warlocks and dragons and medieval heroes and supernatural gems and what not. It’s set in more modern times on a tropical chain of islands. In it, you’re a commander in charge of your very own isle. You can engage in single player campaigns or fight against other gamers in multiplayer mode. 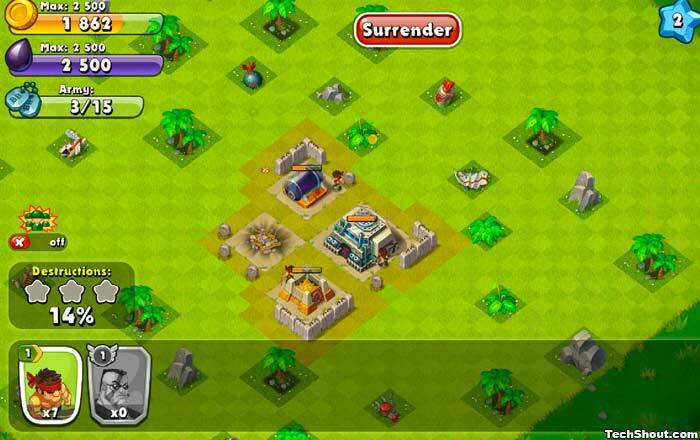 You start by training your troops, exploring the island and attacking enemies seen on your map. Opponents (called Blackguard mercenaries) come into view when they attack your base or when you explore the visible map areas. Boom Beach is balanced in the sense that you are matched to enemy players based on both of your Victory Points. The latter are won by defeating bases. Gold can be earned from grateful locals whose islands you’ve managed to free, or when you level up enough to unlock a submarine and uncover sunken treasure chests. The game is also rife with bosses to defeat, and events on every day of the week. Plants vs. Zombies 2 is one of those strategy and tower defense games that don’t require you to expend too much brain power. It’s perfect for when you’re zonked out from a busy week at work or school – casually killing zombies is always the answer. 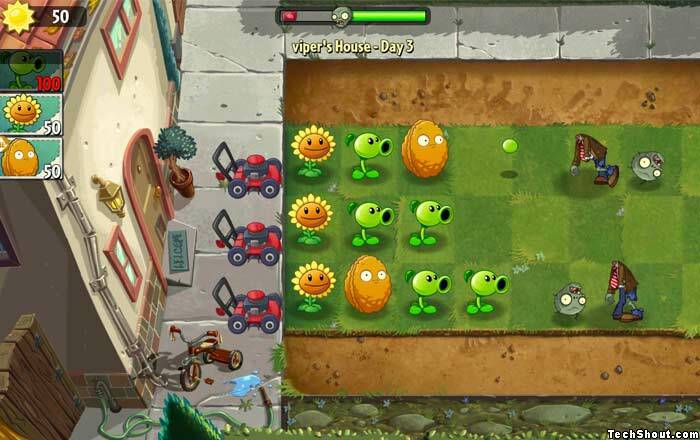 The gameplay mainly involves protecting your lawn from invading zombies by placing plants like Sunflower and Peashooter in strategic areas. For example, you need to collect suns to grow killer plants. So it’s best to put the sun-generating Sunflower plants at the very back row where they’ll be the last to be attacked. From the healing Aloe to the exploding Bombegranate to the hypnotizing Caulipower to the very diverting Garlic, there are more varieties of plants than you can count on your fingers and toes in Plants vs. Zombies. The trick is to understand their individual powers and plant them skillfully. One of the latest updates to the game was Power Mints, a plant species whose members can lend big boosts to those in their family. Fila-mint, with the ability to charge electric plants, is the first Power Mint to have been released. We’re going back to medieval times once again with SEGA’s poorly titled Total War Battles: Kingdom. Don’t be fooled by the name though; it is very engaging, or we wouldn’t have considered it while lining up some of the best Clash of Clans clones. Kingdom crowns you as the ruler of a realm and gives you complete power over its geography. Under your command, you can get the lands of your kingdom shaped according to your fancy. The graphics in this game really stand out when compared to that of Clash of Clans. TWB host the usual mechanics which will have you raising armies, gathering resources, fighting the weather and human foes alike, protecting your realm from bandits and much more. You start by initially raising dams, building a place of worship, collecting building materials, recruiting smiths/soldiers/woodcutters and so on. It gets more interesting as you progress. Just in case you get addicted to the game, the developers have you covered. It is cross-platform, enabling you to pick up where you left off on a mobile phone, computer or tablet. Pretend for one second that you’re so fed up with the scenery in Clash of Clans, you need something different for a change. Enter an aspiring clone of the Supercell game – Jungle Heat: War of Clans. Only this time, it’s set in a tropical forest. It’s dripping with color and features a dynamic background score. Your arch enemy is General Blood, and you can also fight against other players for resources. There are oil and gold to be won. You can even shell out real-world money to help you win battles and level up. You need to build and protect your military base to start off with. Once you’ve trained enough troops, you can go off to participate in campaign missions and also attack other players for resources. When you’ve suffered the brunt of another player’s military strike, you’re granted 12 hours to recover during which no other person can attack your base. The game was previously called Jungle Heat: Weapon of Revenge before being renamed. It can be played across platforms and on social networks too. Any Star Wars game was bound to spur interest among gamers due to the franchise’s massive fan following that spans generations. 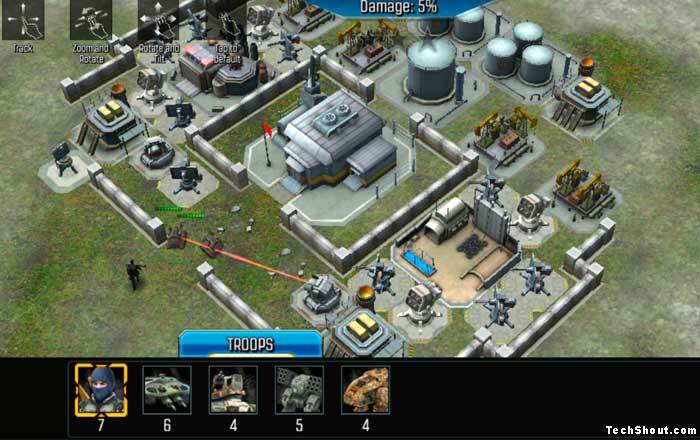 Star Wars: Commander sports the usual features required of any contender aiming at the audience for mobile strategy games. 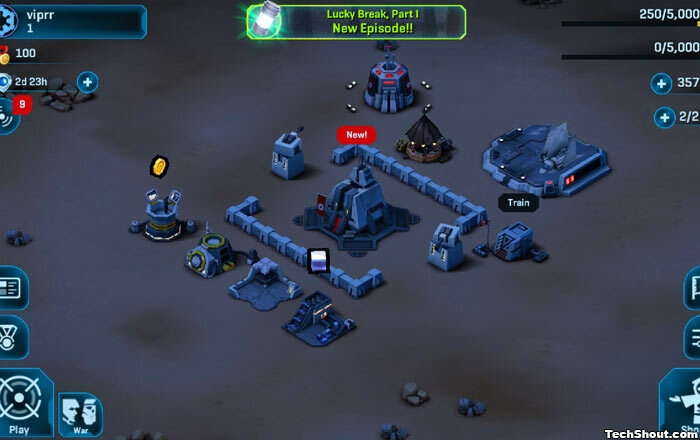 Players must build a base, train troops, buy droids, upgrade heroes and participate in attacks to win loot. Gamers can choose to team up with the Rebel Alliance or join hands with the Galactic Empire. No matter which faction is chosen, the gameplay stays the same. Obviously, there will be differences in the narrative presented to you depending on the side you’re fighting for. The animations are quite interesting, and small touches add to its charm – like the droid rolling off your screen in dejection if you choose not to spend your gems buying him. If there’s one small complaint to be made about the title, it’s that players who are completely new to the strategy games genre might be left hanging when it comes to deciding what to do next, apart from desperately poking around for instructions. Published by Microsoft, Age of Empires is also a decent candidate if you’re searching for PC games similar to Clash of Clans. After going through a brief guide, players must choose from one of several civilizations covering the Britons, Franks, Saracens, Teutonic Order, Kievan Rus, and Byzantines. The set of hero characters you get to pick from varies according to the civilization in question. So does the architecture of your castle. If you fancy, you can change your civilization later in the game. Levels are counted in ages, and the game can be played in campaign mode or PvP mode. In Castle Siege, you don’t have to spend gold unnecessarily if you can bear waiting out for some time to build certain edifices, train troops and so on. But then you’ll have to do a lot of waiting around for structures to be completed. It depends on whether you value time or money more. There are some other bugs here and there, one of them being the game’s concise list of available campaigns. But if you’re looking for a game like Clash of Clans which won’t try and hurry you through it, Age of Empires is a good candidate. Rounding off this list of strategy games that are in the same category as Clash of Clans is Clash of Kings by Elex Wireless. It is a fantasy themed kingdom building game. What makes it stand out from the alternatives listed here are its striking graphics. When you consider just the aesthetics, the other strategy games we’ve lined up seem like poor fare. This MMO game engages you in real-time battles against other online players. Pick from various civilizations including Dragon-born, Viking, Yamato, and Huaxia. 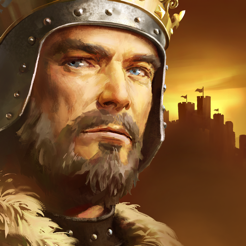 Collect heroes with special abilities, forge alliances and build new armies in Clash of Kings. But not before you’ve gathered enough resources to fortify your structures and raise an army suitable for pillaging other kingdoms. 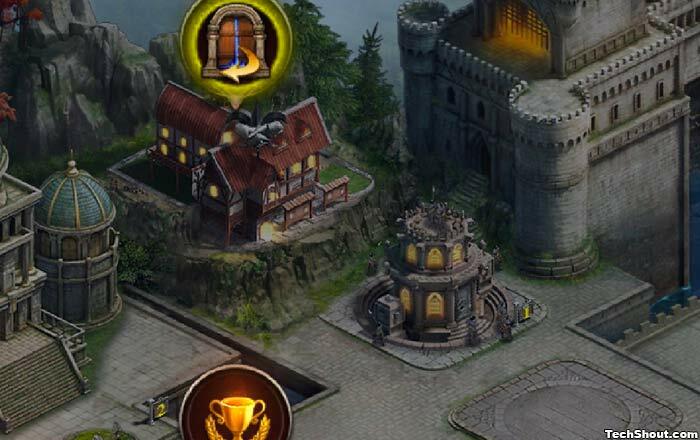 There are attacking dragons to defend your castle and dragon eggs to hatch to your advantage. Monsters, enemy lords and potential sieges all threaten to darken your doorstep. 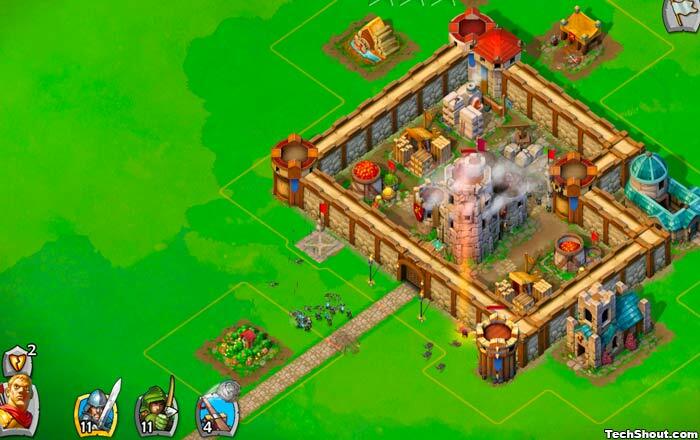 Stay ahead by using your strategical cunning to maintain an impenetrable fortress and powerful troops. How did you like our list of Clash of Clans alternatives? They’ve been arranged in no particular order. Each is unique in its own way, but similar to Clash of Clans at the same time. So kick back your feet this weekend, and try another strategy-based title for a change.